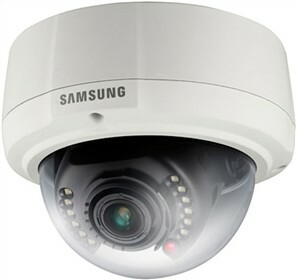 The Samsung SNV-1080R is a compact vandal-resistant VGA network featuring built-in IR LEDs which make it suitable for use in the most demanding applications, dome camera with WiseNetS DSP chipset at its core. It is capable of displaying host of advanced features including face detection analytics. A minimum illumination of 0.7Lux makes the camera suitable for nighttime surveillance. It features Samsung Super Dynamic Range that balances the overall brightness by illuminating the darker areas to the same ratio as the bright areas. The Samsung SNV-1080R has many exciting features for users of all types. See the Samsung SNV-1080R gallery images above for more product views. 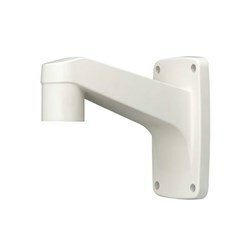 FactoryOutletStore stocks a full line of accessories like Wall Mount Bracket for the Samsung SNV-1080R. The Samsung SNV-1080R is sold as a Brand New Unopened Item.